If you venture into South London, towards Wimbledon for example, you may come across London Tramlink – a small tram system. The system is designed for local residents more than visitors in reality, and travels through some of the more rundown parts of London. 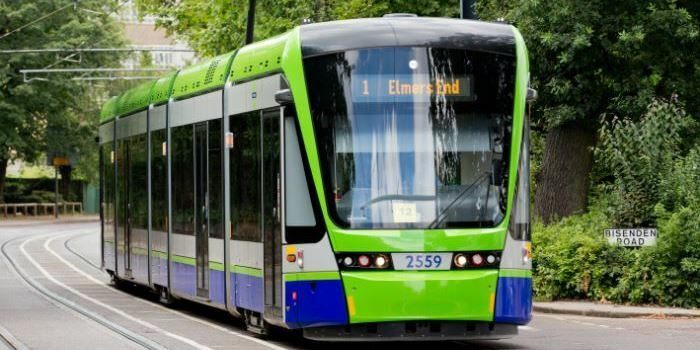 The tram system functions in much the same way as buses do in London. The fare is £1.50 with an Oyster Card or contactless payment. The drivers of the trams do not sell tickets onboard, but (unlike buses) you can buy a cash ticket from a ticket machine at any of the tram stops, though TfL does plan to remove these in the near future. You must touch in your Oyster Card or contactless payment card at one of the readers before boarding the tram – do not touch out when you leave, except at Wimbledon where you must touch out to get through the ticket barriers. The daily price cap is £4.50 if using Oyster. A One Day Bus & Tram Pass can also be purchased for £5. If you have a Travelcard on your Oyster card or a paper Day Travelcard that includes Zone 3, 4, 5 or 6, you can use it to travel on all trams.